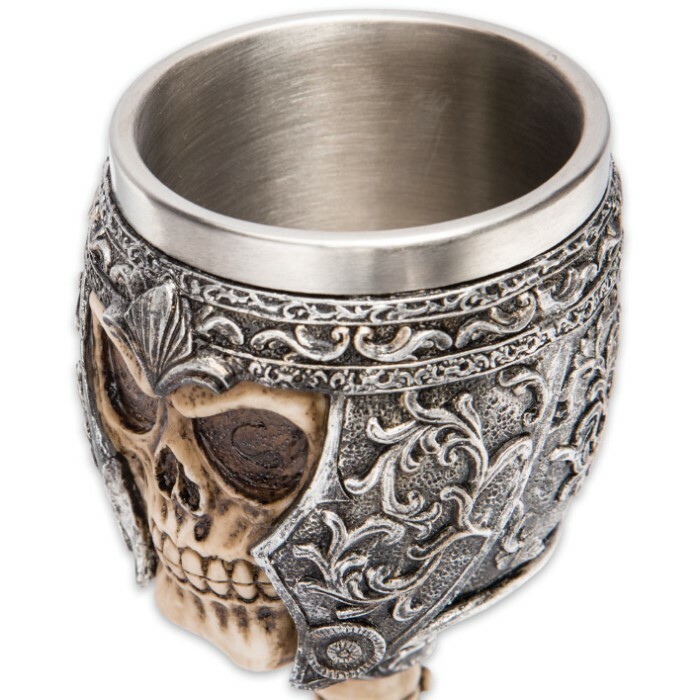 Skull With Helmet Wine Goblet | BUDK.com - Knives & Swords At The Lowest Prices! 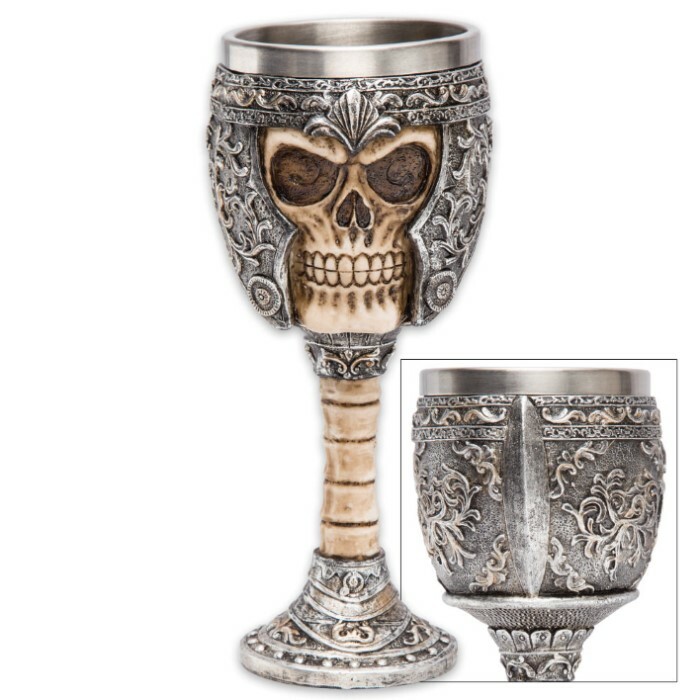 Use this incredibly detailed skull-themed goblet at your next Goth, Pirate or Vampire feast or add it to your home décor as a great conversation piece. It is a spectacular piece that is truly a work of art. 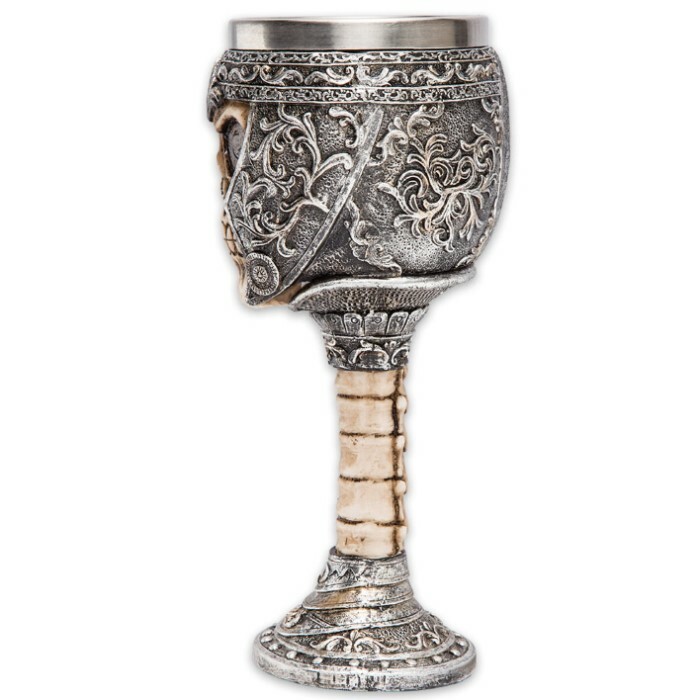 The goblet is expertly and intricately crafted of resin and actually looks like it was cast from metal. It has a stainless steel liner that both enhances and reinforces its structure.